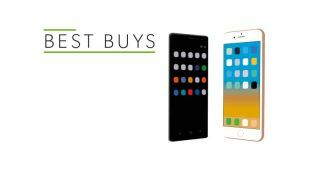 Best smartphones 2018 | What Hi-Fi? Smartphones can do an awful lot for you - so it's important to get the right handset for your needs. This selection is the best around, no matter whether you want Android or iOS. Samsung's policy of evolution (not revolution) sees the best Android phone around become better still. It's pricier than the iPhone 8, but betters its smaller sibling in pretty much every area, including sound, battery life and camera. The larger screen is handy for watching films and You Tube snippets on the go. Doesn't present or perform like a bargain-basement phone in any way. For the price, you get bags of bang for your buck.